Need an Apple Mac Screen Replacement? We replace a vast array of high quality Apple Mac screens and parts at Right-Click, all at an affordable price. We are the independent specialists in providing great value, genuine Apple Mac screen replacements and have a reputation for turning them around at lightning speed too! We work with most models of MacBook Air, MacBook, MacBook and iMac screens. Super-Fast! We can generally quote, order and replace your screen all within 24 hours. We also carry stock of compatible glossy and matt screens, both LCD & LED, for 15.4 inch, 13.3 inch and 17 inch MacBook and MacBook Pro laptop models. 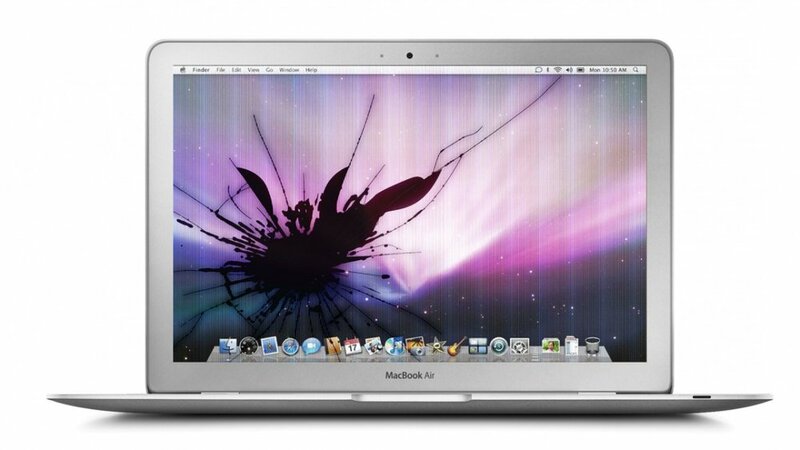 We offer glass only replacement, as well as whole screen assembly (or both) on all models of MacBook. MacBook Air and MacBook Pro. Check the Price of your Apple Mac Screen Replacement? We'll get back to you with a competitive quote! Check your MacBook Pro model from the lists below simply, go to 'About my Mac' or turn your computer upside-down and check the ‘A’ number detailed on the top edge (e.g: A13981 or A17081), then send us the rest of the details that match your model and screen size. Check your iMac model from the lists below simply, turn your computer upside-down and check the ‘A’ number detailed in 'About My Mac' or located underneath the stand. (e.g A 14181 ) then send us the rest of the details that match your model and screen size. To check your MacBook or MacBook Air model from the lists below, simply go to 'About my Mac' or turn your computer upside-down and check the ‘A’ number detailed on the top edge (e.g: A13981 or A17081) then send us the rest of the details that match your model and screen size.